Halloween, the most fun time! 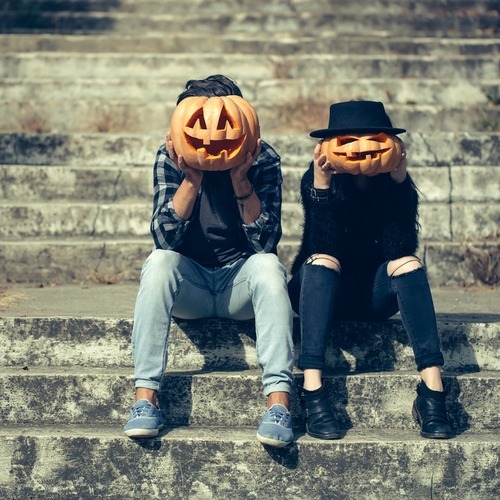 Halloween traditions in college are, well, a far cry from the pumpkin carving, candy apple making gatherings we had in our driveway before the kids started their trick-or-treating. Many places, including frats, will have parties – all week. Halloween week, I’m not going to lie, gives a whole new meaning to the BOO in Booze. Keep in mind this is Orlando and there is a lot of Halloween-themed partying going on in general. It may not be a bad idea to remind your students of all the nice parts of Halloween and to keep their good judgment about them. A hint to be sure they have all their work done before they go out is wise too. Halloween Horror Night at Universal. This will probably be on every Knight’s bucket list to experience at least once. Get student tickets at the SGA Ticket Center for select nights from September 14 to November 3, 2018. On Saturday, October 20, 2018 the Winter Park Pumpkin Party looks like it should be alot of fun. Perhaps they like a costume party. Here’s one, although I am quite sure there will be many around campus and in the frat houses. Haunted Hotel V: Halloween Costume Party on Saturday, October 27th at the Aloft in downtown Orlando. Or a live Concert: Halloween Headbanger’s Ball Costume Party at The Haven on Friday, October 26th at The Haven Lounge in Winter Park. Tickets start at $5. Send a Little Halloween Love… by checking out our Halloween gift guide here. Or, perhaps, just create your own box using Amazon.